As the name suggest, lotus seeds are taken from the lotus flower. The seeds are harvested in August and September. Packed with a number of essential minerals and other substances, they help to enhance the overall health of human beings. As the name suggest, lotus seeds are taken from the lotus flower. The seeds are harvested in August and September. After harvesting, they are dried under the sun. Brown and white peel seeds are two types of lotus seeds. When it comes to nutritional content of lotus seeds, they contain protein, phosphorus, magnesium and potassium. Zinc and iron is also present in these seeds along with a low quantity of sodium, cholesterol, sugar, saturated fat and many others. It is also used for worshiping. These seeds contain L-isoaspartyl methyltransferase, which is an enzyme having anti-aging properties. They have also astringent properties, which are useful for kidneys. They regulate the energy in the body. They have anti-inflammatory properties to repair aging gum tissue. These seeds also cure the issue of diarrhea. They treat numerous sexual conditions. These seeds enhance the digestive process and get relief from diarrhea. They are also helpful for heart and sleeping disorders. They control the blood pressure levels. Lotus seeds are used in a wide range of foods. 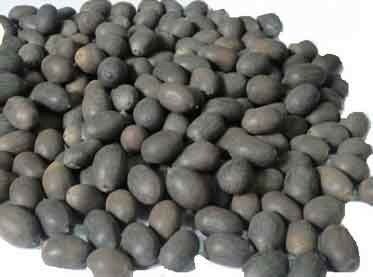 These seeds can be soaked in water over heavy before using, which can be added to salads, soups and many other dishes.